This time in Wire, read about the release of our colleague and friend Idil Eser, Director of Amnesty Turkey, who was arrested in Turkey for doing human rights work. 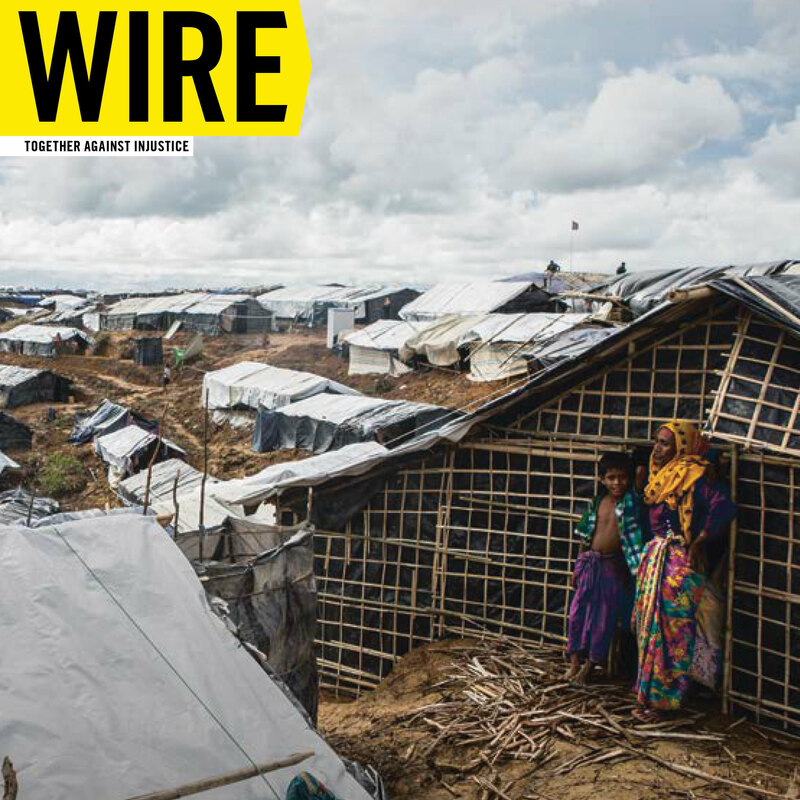 Our feature tells the story of Rohingya refugees in Bangladesh. Find out how young students in Norway started a fight to stop their classmate Taibeh Abbasi being forced to go to Afghanistan; you too can join the international campaign #AbbasiStays. We’re also listing for you different types of online abuse against women which can help you to promote online freedom of expression. Glimpse behind the scenes of our ‘Give a Home’ events last September, when musicians performed in people’s homes to support refugees; pop-duo Faarrow shares with us why they got involved.